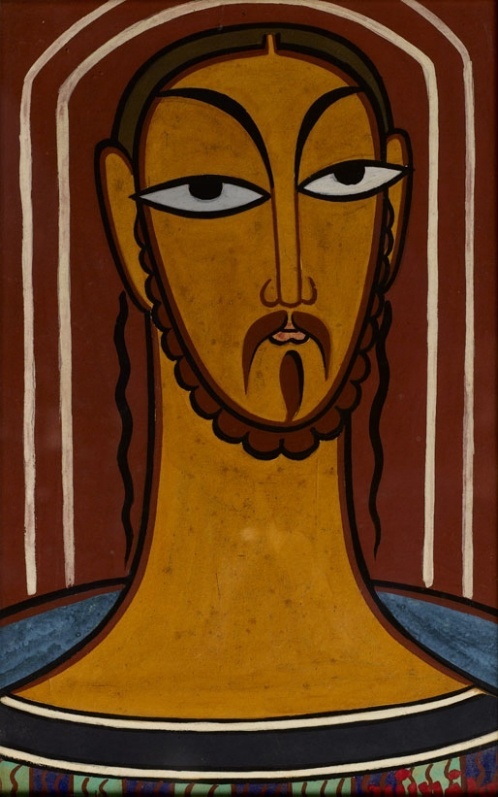 His name means beautiful relaxing night. 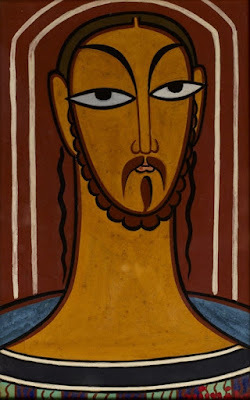 And his beautiful paintings somehow lives up to meaning of his name. 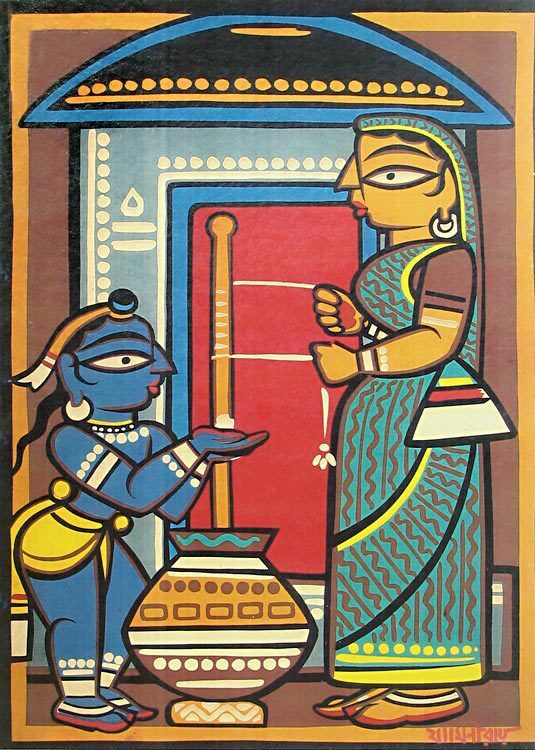 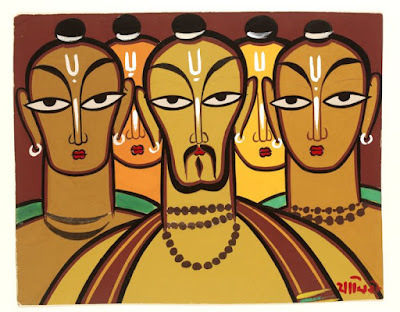 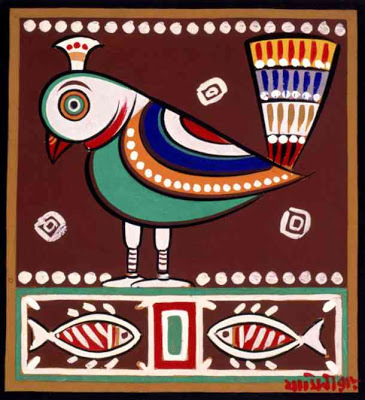 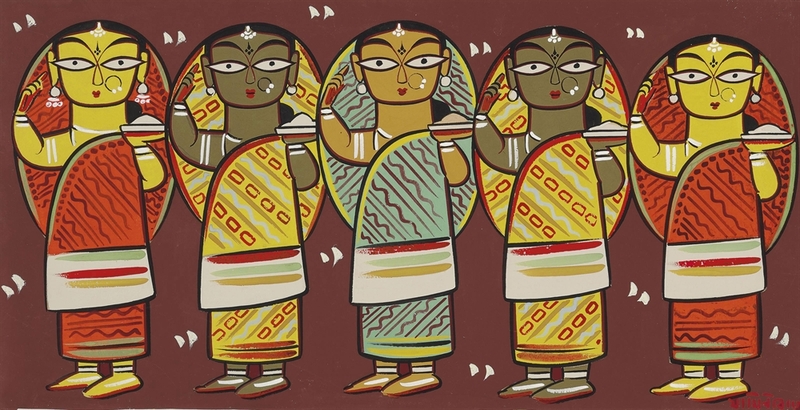 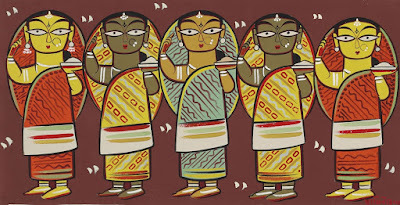 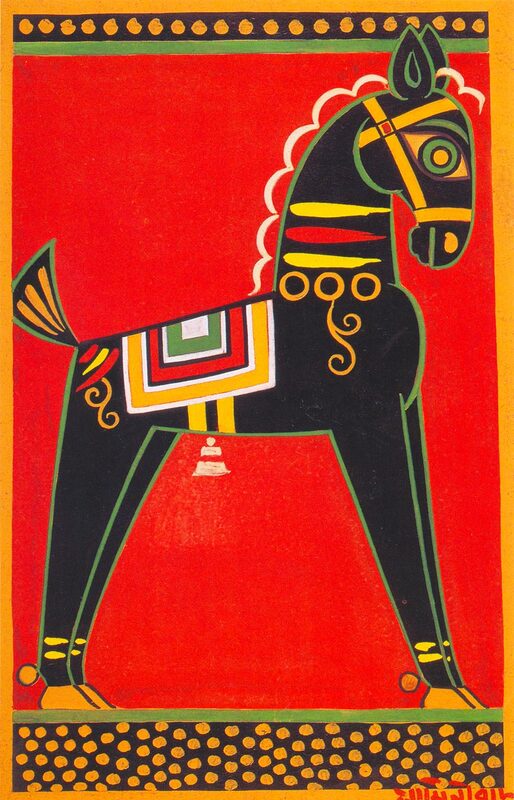 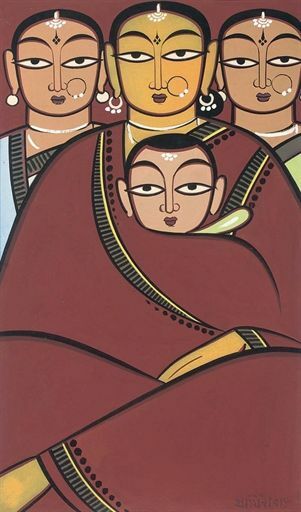 Jamini Roy was one of the most celebrated faces of Modern Indian Art movement. 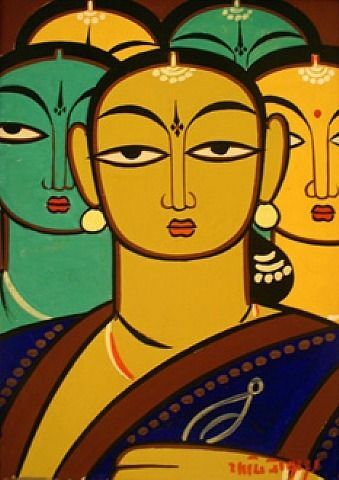 He was one of the famous students of Abanindranath Tagore, whose originality of ideas and contribution toward rise of new wave of Indian modern art remain incontestable. 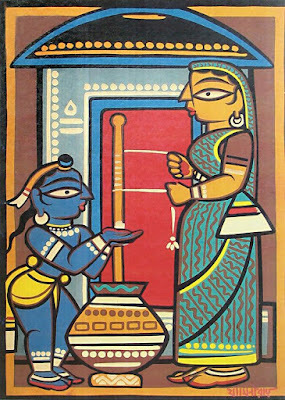 Roy was born on 11th April, 1887 in a upper middle class Begnali zamindar family of Beliatore, BanKura, Paschim Banga (West Bengal). 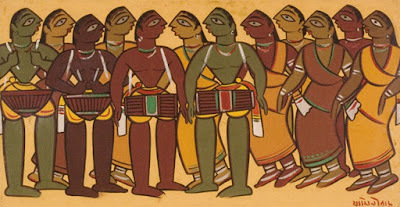 In 1903, at the age of sixteen, he joined the Government College of Arts, Kolkata, where he learned the details of artmanship under the mastery of Abanindranath Tagore, then vice principal of the college. 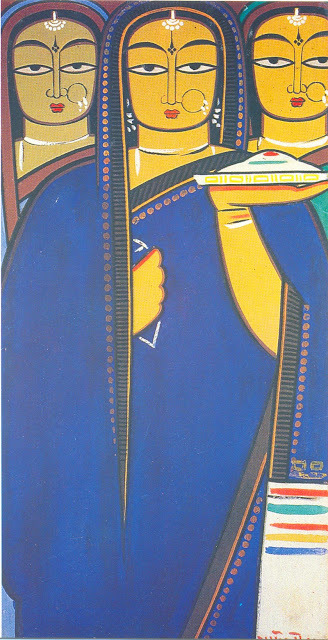 And In 1908, he received the diploma in Arts. 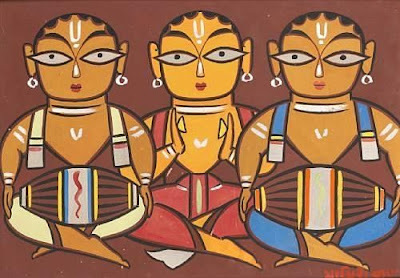 Though after his initial experience with landscape and portrait drawings, he realized that he need to find his own inspiration, which is not there in the west. 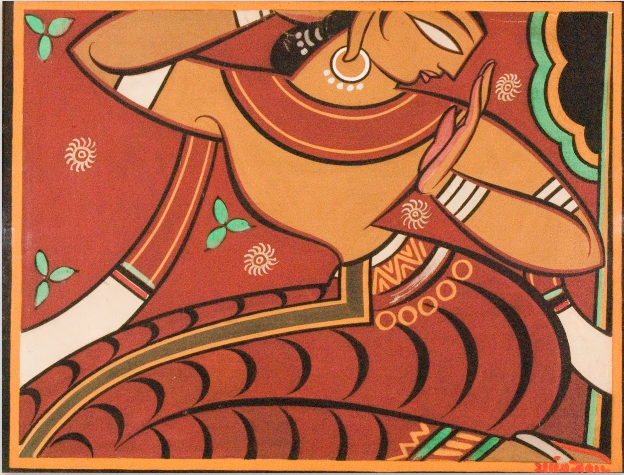 He started exploring the local and tribal art forms, and his exploration started shaping his own art form. 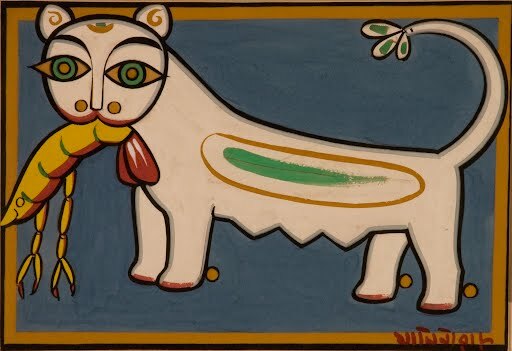 He was profoundly influenced with the Kalighat Pat, a painting style with bold-sweeping brush strokes. And his paintings from the period 1921-1924, clearly shows that. 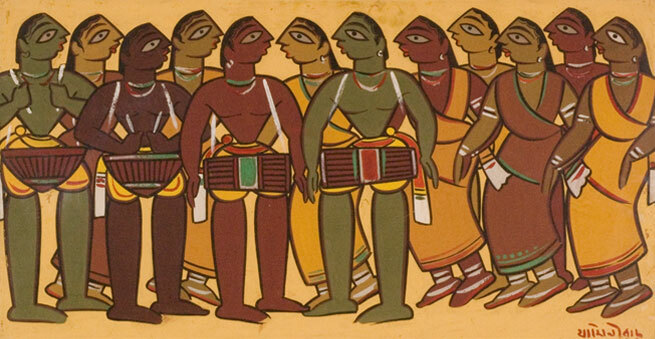 His style was a rejoinder to Bengal School of Art and Western forms. 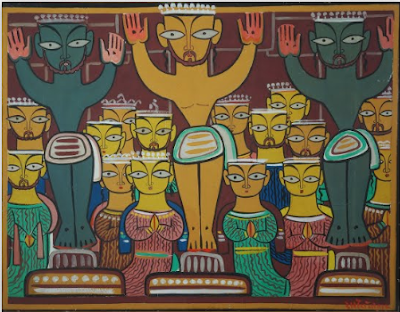 And he was regarded as the artist of masses, as his paintings was very famous among aspirational Bengalis and Europeans. 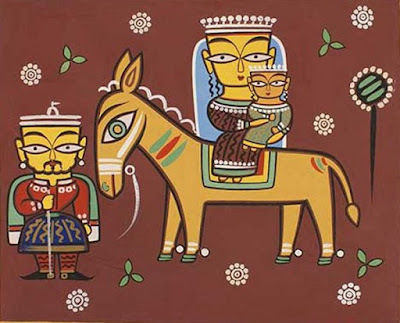 His paintings was base on three basic principles, 1. to capture the simplicity of local and rural life, 2. to make art accessible to every section of community, 3. to create an identity of Indian art in the world. 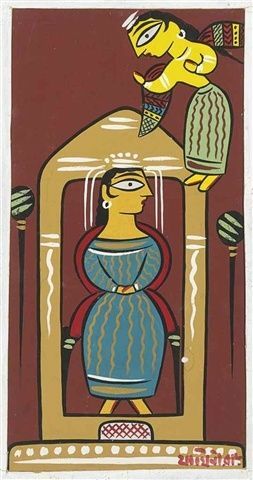 His first major exhibition was held in 1938, in British India Street of Calcutta (now, Kolkata). 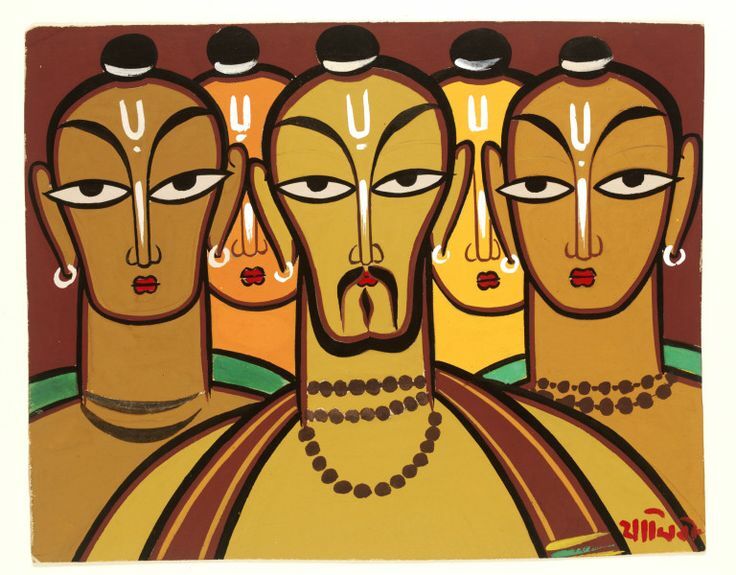 And from then, he had many solo exhibitions, which includes an exhibition in London (1953) and New York City (1963). 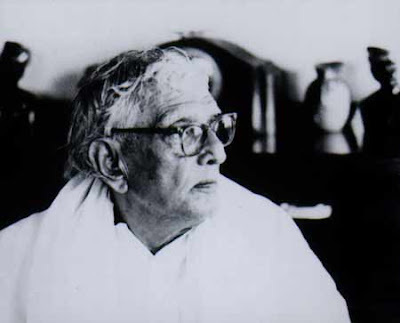 In 1954, he received Inda’s third highest civilian award Padma Bhushana, he was one of two person who received Padma Bhushan in the field of Arts, the other person was M.S. Subbulakshmi. At the age of 85, 24 April 1972, Jamini Roy left the world with a beautiful legacy of artwork behind to all of us. His paintings influenced so many artists, that his work reproduced, intentionally or unintentionally, by many of the budding artist, just to find the define themselves along with the master. Some of his famous paintings include titles, Crucifixion with Attendant Angels, Cats Sharing A Prawn, Gopini, and Mother and Child.